Natural honey is a product that gives health and energy. Thanks to its medicinal properties, it is possible to fight against colds, restore the work of organs and metabolism. To do this, you just need to eat a spoonful of honey. Its fragrant aroma and pleasant sweet taste will not let you remain indifferent. The bees invested all their strength and zeal in it when gathering the best nectar to get an amazing therapeutic product. Not everyone knows that honey has antibacterial properties. Honey can be stored for centuries – this is a known fact. Archaeologists have found honey in the pyramids age, which reaches several thousand years. 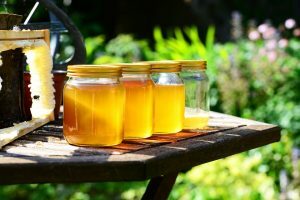 Natural honey does not deteriorate and is perfectly preserved at the temperature of the human body, it is this temperature that is maintained in the bee family in summer. This resistance of honey is possible thanks to its natural ability to withstand harmful microorganisms. There are many studies of the world-class scientists, which are devoted to this fact. American scientist Dr. Sakket decided to test the medicinal properties of honey by experience. He injected into various portions of honey various pathogens. And he was very surprised when he found out that they all died in honey in a few hours or several days. He stated: “The lifespan of bacteria of the typhoid intestinal group in honey is very limited. The likelihood that honey can be a carrier of pathogens of typhoid fever, dysentery and other intestinal diseases, is very small, “which proves the medicinal properties of honey. He exposed honey to various life-threatening microorganisms. All of them died within a day or two, and only a terrible agent of dysentery – after ten days. This study shows the strength of the medicinal properties of honey, and what beneficial and salutary effect it has on the human body. It should, if possible, be consumed constantly. 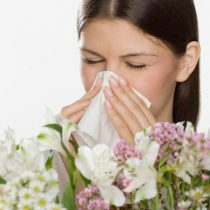 Especially, it is necessary for children and people of elderly age: some have not strengthened the body, others have already weakened – cannot resist the invasion of microbes. Interesting: In 1906 G. Wintigig found that in a bee hive the bacterial flora is insignificant despite favorable temperature conditions for the development of bacteria. It was established that honey kills bacteria, pathogens of typhoid fever, paratyphoid, dysentery, and also eggs of intestinal parasites (worms). Healing and tasty treat, honey, is famous for its useful and nutritious qualities. It has a beneficial effect on virtually all body systems, replenishing the supply of microelements and saturating the cells with the necessary biologically active nutrients. Regular use of honey improves immunity, protects against colds during the cold period, repairs the nervous system, improves the digestive system, heals the liver, kidneys, thyroid and fills the body with energy, increasing the level of efficiency. And do you know what honey is good for the human brain? Carbohydrates: Scientists have proved that the human brain, no matter what kind of activity the individual is engaged in, spends about a fifth of the energy obtained from processing and assimilation of food. Accordingly, the rest of the energy is expended by the body for physical exertion, including, on the provision of all physiological processes. It is extremely important for people engaged in intellectual work to regularly replenish their energy reserves, otherwise labor productivity falls markedly, fatigue, irritability, anxiety and exhaustion are manifested. Many people noticed that when the energy level is lowered, the brain literally refuses to think and function normally. For a quality and, most importantly, a fast recovery, it is enough to eat carbohydrate food, for example, a tablespoon of honey, black chocolate, nuts, dried fruits or drink sweet tea. It is honey that is the best option, because, in addition to fructose and glucose, it will saturate the body with necessary and useful components. A perfect combination is honey plus nuts, for example, almonds. Serotonin: This hormone is converted from tryptophan, which is contained in all types of honey, and is responsible not only for the mood, feelings of happiness and bliss, sensitivity, emotionality, but also for the ability to perceive information, that is, for learning. Increased serotonin levels indicate a desire for new knowledge and excellent memory. 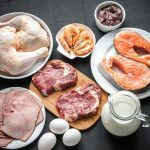 Iron: This micronutrient not only participates in the process of hemoglobin production in the blood, but also splits perfectly the boundaries of the possibilities of the left hemisphere of the brain, which is directly responsible for the ability to think logically. The greatest amount of iron and protein necessary for its full assimilation is found in dark varieties of honey, especially in buckwheat. Senseless, confused and inhibited speech testifies to the lack of iron in the body. Choline: This substance is a protein compound necessary for the operation of the short-term memory. With the passage of time, the level of choline decreases, which leads to disturbances in the work of nerve endings and cells. The lack of choline in the body leads to absent-mindedness, forgetfulness and sleep disorders. 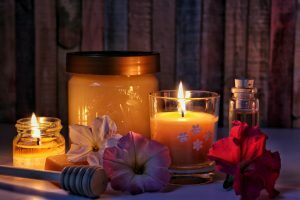 Interesting: In our energetic age, when stress became the norm rather than an exception, honey is one of the few completely safe and effective antidepressants that reduces the level of moral strain and eliminates unnecessary tension. Mask yolk-honey: mix 1 yolk and 1 teaspoon of honey well, apply on face for 20-25 minutes, then rinse with warm and cold water. Honey-cucumber mask: honey, olive oil, lecithin and vegetable juice (preferably cucumber) are mixed in equal quantities and applied to the face. It is used for pale, thin and dry skin. Mask with flour: 100 g of wheat flour, 40 g of honey and 1 egg white (whipped to foam), mix thoroughly. The mask is applied for 15 minutes, it is recommended to prevent wrinkles in dry and normal skin. Honey-glycerin mask: mix 1 teaspoon of glycerin, 1 teaspoon of honey, 1 teaspoon of wheat flour, add 2 teaspoons of water. All carefully mix. The mask is applied to the cleansed face for 20 minutes. Repeat 2 times a week. Recommended for dry, normal and fading skin. Cottage cheese and honey mask: mix 3 teaspoons of cottage cheese with 1 teaspoon of honey. Apply to cleansed face for 20 minutes. The mask has a whitening effect and nourishes the skin well. Interesting: The skin brightens, clears and rejuvenates, small wrinkles are smoothed out, and its tone is leveled. Especially noticeable are the changes on the problem skin with enlarged pores, as well as on the faded and lost vitality, which the honey mask can restore, even for one application. Every child knows that sweets are harmful to the health of teeth, but this statement does not apply to honey, which is also considered sweet. 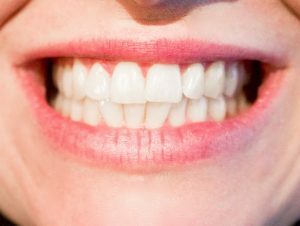 According to scientists, honey not only does not harm the teeth, but even on the contrary – it improves their condition. Dentists recommend to use honey daily. Only two spoonfuls are enough to protect your teeth from tooth decay and yet do not harm the figure. Despite the fact that honey is sweet, it contains hydrogen peroxide, which is released after dissolution of honey, and has an antibacterial effect. Honey prevents the production of bacteria by a substance that helps them stick to the surface of the teeth. So the use of honey is not only a pleasure, but also a concern for one’s health. Interesting: It turns out that honey has an anticaries effect. This was proved by specialists from the American Academy of General Dentistry. In the course of the experiment, they gave the patients half a gram of honey and asked to distribute it throughout the oral cavity, hold for 4 minutes, then rinse the oral cavity. After such manipulations, the number of bacteria causing caries decreased by about 70%. Honey for weight loss can become a salvation. New research from New Zealand University shows that the use of sugar or sugar substitute leads to weight gain, but honey, on the contrary, helps to lose weight. It would seem that in the phrase “honey for weight loss” there are two incompatible concepts, but it is not so. Scientists have proved that diets that allow the use of sugar lead to an increase in glycated hemoglobin, which indicates an increased level of glucose in the blood. Also, such diets increase the level of triglycerides leading to atherosclerosis. An experiment was conducted in rats, sugar was not included in the diet of the first group, sugar was added to the diet of the second group, and the third was fed with honey. The second group gained considerable weight, but the results of the first and third groups were the same. Surprisingly, a 10% addition of honey to the diet did not affect weight gain. This discovery is one of the reasons why honey for weight loss is not so terrible. Honey for weight loss is useful because during the process of losing weight the decomposition of fat molecules leads to the release of free radicals, which have a negative impact on health. Honey contains antioxidants (some can be found only in honey), for example, catalase, krizin, galogin, pinobaxin and pinocembrin, neutralizing free radicals. By the way, dark varieties of honey contain more antioxidants than light varieties. 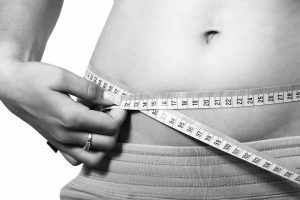 When losing weight the body loses the valuable nutritional elements that he needs. Therefore, honey for weight loss is necessary, since it can provide the body with more essential nutritional support. After all, this is a natural substance derived from the concentrated nectar of flowering plants. It contains protein, riboflavin, nicotinic acid, pantothenic acid, vitamins B6, B9, C, iron, calcium, phosphorus, magnesium, potassium and zinc. In the process of losing weight, there is a decline in strength, honey can solve this problem. It contains glucose and fructose, providing the body with a fast and reliable source of energy. It is believed that products with a low glycemic index (GI) score are better for losing weight than with a high rate. The reason is that the latter cause an instant reaction of the body to the intake of sugar into the blood, thus causing appetite, and later the deposition of excess kilograms. The lower the GI, the more gradually the sugar enters the bloodstream. Honey is a stable source of energy, its glycemic index is lower than that of sugar and other sweeteners. Diets containing foods with a low GI score reduce the risk of diabetes, heart disease and obesity. Therefore, replacing sugar with honey, you can improve your health. At the same time, honey is much sweeter and more fragrant than sugar, and people eat it by about a third less, so honey for weight loss is so important in reducing the total caloric value. Interesting: Honey for weight loss also has its advantages: it is easily digested, improves metabolism, heals sores, rejuvenates the body. In addition, honey immobilizes deferred fat and burns it, providing the body with energy for normal functioning.